4.5 18 Be the first to write a review! The fast & easy way to slice and dice like a pro! Ideal for Stir-Frys, Fruit Salad, Salsa, Potato Salad, French Fries and more. The Fast and Easy Way to Slice and Dice Like a Pro! In just 3 easy steps... snap on blade, push down, and store inside. 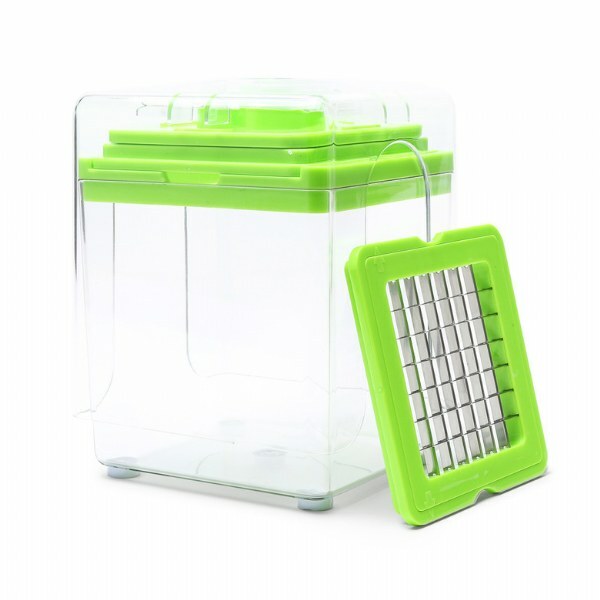 Features a 6 cup container, catches and stores all your ingredients while chopping. Easy to Use Pusher, protects and keeps your kitchen clean. Includes a medium slicing and small dicing blade.